The United Kingdom is a world-renowned leader in pharmaceutical and medical device manufacturing. These industries are well-developed and growing strongly throughout the country. 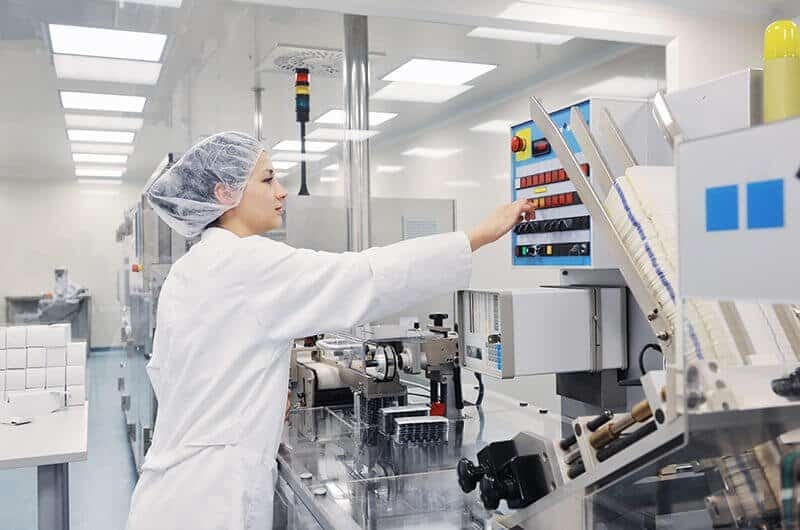 At present, 7 of the Top Pharmaceutical Companies in the World have a manufacturing presence in the UK alongside a number of the Top Medical Device Companies in the World, including Johnson & Johnson and Medtronic. Brief History: The company was founded in 1999 through the merger of Swedish company, Astra AB, and the UK Company, Zeneca Group. The company produces a number of pharmaceutical products including anaesthetics and treatments for diabetes and cancer. It employs over 59,000 people around the globe and produced a turnover of £22.4 billion in 2017. Presence in the UK: AstraZeneca currently employs over 6,700 people in the UK. It has 7 locations including their Global HQ in Cambridge and a large manufacturing site in Macclesfield. AstraZeneca was voted number 2 in the list of “Best Employers in the UK 2016”, in a survey done by Bloomberg and Statista. Brief History: The company in its present form was founded in 2004 after the acquisition of Aventis by Sanofi-Synthélabo. Its Global HQ is in Paris. The company currently produces pharmaceuticals covering disease areas such as cardiovascular, thrombosis and oncology. It is also the world’s largest manufacturer of vaccines through its subsidiary company Sanofi Pastuer. Presence in the UK: Sanofi employs 1,200 people in the UK across four locations, including a large manufacturing facility in Haverhill, Suffolk. Brief History: The company was founded in 1849 in the USA and has grown to be one of the largest pharmaceutical companies in the world. It presently develops and produces a number of medicines and vaccines covering disease areas such as oncology and neurology. It currently has over 96,000 employees worldwide with a global turnover of $52.54 billion in 2017. Presence in the UK: Pfizer has had a presence in the UK since 1952. It is now one of the leading suppliers to the NHS. At present, it employs over 2,500 people in the UK across fours sites. This includes a packaging facility at Havant and a pilot plant in Sandwich that produces medicines for all its UK clinical trials. Check out the video below about Pfizer being awarded a Top Employer for the third year in a row, in 2018. Brief History: The company was formed in 1996 through the merger of Ciba-Geigy and Sandoz and is currently headquarted in Basel, Switzerland. It develops and produces a number of drugs, including generic drugs through its division, Sandoz. It is also one of the leading producers in the world of contact lenses through its Alcon subsidiary. Presence in the UK: Novartis employ approximately 1,500 people in the UK across a number of locations, including its facilities in Grimsby and Frimley (which is the UK home for the eye care division, Alcon). Brief History: GSK was established in 2000 following the merger of Glaxo Wellcome and SmithKline Beecham. It is now one of the leading pharmaceutical companies in the world. It produces a number of drugs and vaccines for the UK market, plus healthcare products such as Sensodyne and Aquafresh toothpaste. Globally, it employs almost 100,000 people. In 2017 the company recorded a turnover of £30.1 billion. Presence in the UK: GSK enjoys a huge presence in the UK, employing over 17,000 people across 9 manufacturing sites, an R&D site and Corporate HQ in Brentford London. 5,000 employees are in direct manufacturing jobs in facilities such as Ulverston in Cumbria and Montrose in Scotland. Check out the video below taking a look inside the SMART Lab at GSK’s Stevenage facility. Brief History: Founded in Germany in 1668, MSD is the world’s oldest pharmaceutical company. Its current Global HQ is in New Jersey, USA. The company ranked 78 in the Fortune 500 list of the largest United States corporations by total revenue in 2018. At present, they employ approximately 69,000 people globally and are one of the leading manufactures of HIV treatment drugs. Presence in the UK: MSD currently has 4 sites in the UK which includes their UK Headquarters at Hoddesdon plus two large scale manufacturing facilities at Cramlington and Milton Keynes. Their Milton Keynes facility is home to the largest veterinary production facility in the UK while Cramlington has been in use since 1975 and employs approximately 400 people in various manufacturing roles. Brief History: Roche was founded in Basel, Switzerland in 1896 – the company is still based in the city. It was one of the first companies to produce synthetically manufactured vitamin-c for healthcare and presently it produces a number of drugs covering many disease areas. It also develops and manufactures blood glucose meters for diabetes management. Presence in the UK: Roche has had a UK presence since 1908 and currently have a diagnostics facility in West Sussex and a large manufacturing facility in Welwyn Garden City. Across these two sites, it employs nearly 2000 people. Check out the video below that highlights the work Roche does in the UK. Brief History: Johnson & Johnson was found in 1886 and it currently headquartered in New Jersey, USA. The corporation now encompasses over 250 subsidiary companies, with operations in over 60 countries. Its pharmaceutical areas of focus are immunology, neuroscience, infectious disease, and oncology while its medical device areas of focus are in surgical wound care. It is also well known for its consumer health care which includes a number of baby, hair and skin care brands. Presence in the UK: Johnson & Johnson currently employs over 5,000 people in the UK & Ireland. Within the UK, it has facilities in Berkshire, Buckinghamshire, Blackpool, Leeds, Inverness, Edinburgh, and Surrey. Brief History: Founded in 1901, Teva is an Israeli company that is now one of the top pharmaceutical companies in the world. It is also the largest generic drug manufacturer in the world. With its Global HQ still in Israel today, Teva now employs over 51,000 people globally. 2017 saw revenue of $22.4 billion. Presence in the UK: Teva has had a presence in the UK for over 80 years and currently has 4 UK locations. These include a distribution centre in West Yorkshire, offices in Harlow, packaging operations facility in Eastbourne and manufacturing facilities in Runcorn. Total UK employee numbers are now over 1,000. Brief History: Founded in 1897, Lonza is a Swiss company that specializes in biotechnology and chemicals, including the manufacture of biopharmaceuticals. It currently employs over 14,500 people across 100 sites in 18 countries. 2017 revenue was reported as $5.2 billion. Presence in the UK: Lonza currently has two sites in the UK in Slough and Cambridge. The Slough facility employs 650 people and is involved in the production of biopharmaceuticals. The Cambridge site is a research and development facility focusing on pharmaceuticals and biotech. Check out the video below, taking a look inside the Lonza facility in Slough. Check out our tool ‘Is a Pharma Career For Me?‘ to see how suitable you are for a career in pharma or medical device manufacturing based on your career and educational history. You might also like to check out our post 5 reasons to choose a pharmaceutical career for a more comprehensive look at the career options the industry offers. 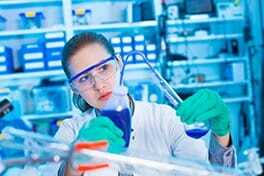 Take our Certificate in eBioPharmaChem and start a well-paid and stable job.